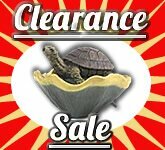 45 Mil EPDM Fish Safe Liner with a 20 Year Limited Manufacturers Warranty. 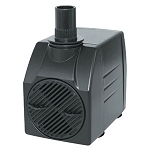 This Top Grade Tear and Puncture Resistant 45 mil EPDM liner is perfect for adding a stream or for lining your waterfall. Never settle for PVC or anything less than 45 mil EPDM PondGard Liner. 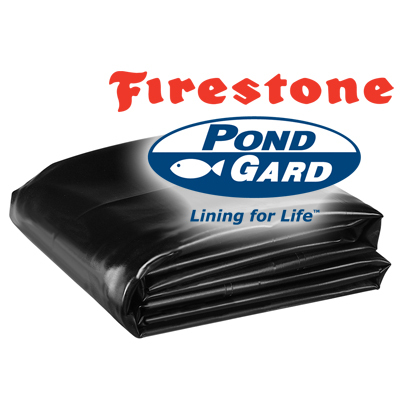 10' x 15' Firestone PondGard 45 mil EPDM Pond Liner - 150 Sq. Ft. Fish friendly - safe for fish and plant life. Highly flexible - stays flexible in a variety of temperatures- from -40 degrees F to 175 degrees F- enabling it to be installed year round. Design versatility - can easily be shaped to fit the unique contours of your pond giving you much more design creativity. Weather resistant - shows outstanding resistance to the harmful effects of ultraviolet radiation (UV), ozone, and other environmental conditions. Extreme durability and high elongation - Pondgard will stretch over exposed rocks and tree roots. The Quantity refers to how many you would like to purchase of that same size liner.